WJ have a passion for safety, valuing all of our staff, clients, supply chain, stakeholders equally and without compromise. We have dedicated road safety policies and procedures to maintain awareness of work related road safety and our responsibilities for road safety as an organisation. With Work Related Road Safety written into our management systems, which ensures a safety-first culture throughout our operations. WJ were first in the road marking sector to gain FORS accreditation and have been active in promoting Work Related Road Safety. 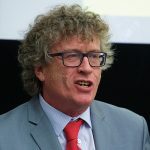 In 2014 Paul Aldridge our Group Sustainability Director gave key note presentation at the Road Safety Markings Association Conference on WRRR and VRU safety. WJ have continued to promote VRU safety through presentations at national and International conferences, trade shows and journals not just within the construction industry but exhibitions such as the London Bike Show as CLOCS Champions. Through massive investment in a bespoke fleet and highly trained operatives, WJ can ensure that high standards are maintained in delivery. Work Related Road Risk is assessed and controlled, we accept our obligation to all road users particularly the vulnerable and through that have improved safety for our operatives. 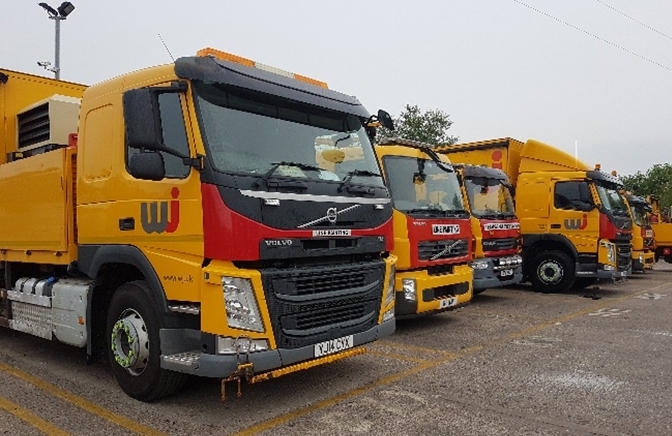 The WJ fleet is built with all the requirements of the FORS Gold Standard included in the build process including under run bars, class V and V1 mirrors, blind spot cameras, proximity indicators and signage rather than additions at a later stage. 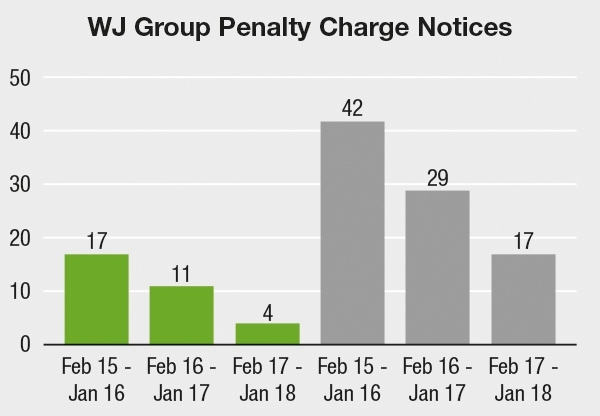 WJ have dedicated fleet and driver safety policies and procedures to set the boundaries of acceptable behaviour, promote best practice in fleet management and driver behaviour, work related road safety and raise awareness of our responsibilities for road safety as an organisation. Effectively managing our business to remain efficient, profitable and competitive. Our continued investment in resources to improve our fleet operation. Implementing management controls for fleet operation and safety activities, designed to eliminate issues. Efficiently planning the sustainable utilisation of Fleet operation resources. Maintaining communication and collaboration both internally, with employees as well as our supply chain, customers or other stakeholders. Managing continual improvement of our operations & processes. “WJ Group are committed to managing its fleet by being accredited to the FORS (Fleet Operator Recognition Scheme) operating standard. The operation of this policy runs in alignment with our HSQE ISO Management systems to ensure it is managed and reviewed effectively and we identify and act upon opportunities for mitigating risk in the continual improvement of our fleet operation. 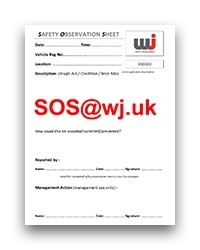 WJ Group maintain a Health and Safety Policy together with a Driver Handbook and fleet operation compliance plan for its operations, Health and Safety is the ultimate responsibility of the board of directors. WJ Group Health and Safety Policy and Fleet operation Policy Statements are displayed on the noticeboards and included in the WJ Group driver handbook. Staff are also provided with safety awareness refresher briefings to ensure their continued understanding of our health, safety and fleet operation policies. Employees are required to adhere to these Safety and Fleet operation Policies, and act responsibly and positively to prevent incidents, injury or ill health. The company make available supporting health & safety documentation to employees in a Crew Information Pack and Driver Handbook which is available in each vehicle and in the office. As part of our investment in our people, WJ ensure that all drivers undergo regular licence checks to check that all drivers are compliant. Furthermore, all drivers of WJ vehicles are subject to 6 monthly eye tests to further guarantee safety on the roads. Mobile phones Drivers must not use hand held mobile phones whilst driving. It is advised that our operatives find a safe place to take a call or allow their crew member deal with it. Satellite-navigation systems Setting and adjusting Sat-Nav causes a distraction and is therefore not permitted whilst driving. PDA’s & Tablet Devices Drivers must not use such devices whilst driving. Radios It is permitted for the adjustments to be made to radios whilst driving, however this must not be a distraction or cause careless driving. Monitors (and audible warning indicators) All WJ LGVs are fitted with reversing and nearside blind spot cameras together with proximity indicators. These devices assist with manoeuvring the vehicle and maintaining visibility of blind spots to protect vulnerable road users or other damage. The use of these devices is an important element within the company strategy for the safe manoeuvring of the vehicle and managing the People / Plant interface, particularly to avoid incidents with vulnerable road users such as cyclists and pedestrians on the highway and to make site working around our vehicles safer. WJ holds ISO 9001, 14001 and 18001 accreditations and is subject to rigorous external audit and internal management review. 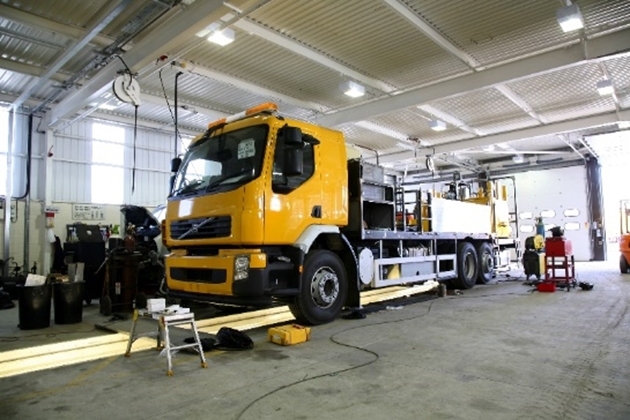 WJ also choose to undertake further compliance checks through schemes such as: FORS, Achilles Building Confidence, Construction Line and CHAS. Most importantly, Work Related Road Safety is included in the Management Systems and therefore rigorously audited internally and externally. 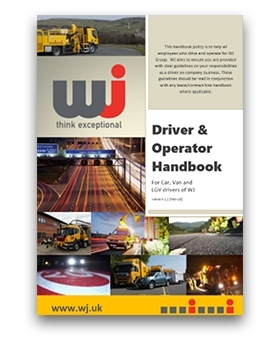 The WJ driver and operator handbook is an essential document which contains all the relevant information required for our operators regarding safe driving and vehicle operations. All WJ vehicles are equipped with NAVMAN systems to ensure our operatives always have the required information to hand. These systems contain all the WJ RAMS, Policies and Procedures needed for their operations, including our Driver and Operator handbook and Dynamic Risk Assessments. The system also provides sat nav for safe efficient routing and telematics enabling the monitoring of driver behaviours. The WJ Driver Training Academy provides the highest quality approved driver training for various vehicles; with all training and tests delivered on location at our DVSA approved Training Centre by our own DVSA qualified driving instructors. WJ believe safe, competent, empowered, multi-skilled staff are key to the development of the business. WJ drivers are regularly assessed and given extensive training in safe environmentally friendly driving. The Academy provide Driver CPC courses relevant to our industry, Safe Urban Driving, First Aid, Fire Safety, Safe Vehicle Operations (includes Banksman, Vehicle checks, safe loading), CITB Health & Safety Awareness and Traffic Management (12D T1). This compliments our training requirements under NHSS 7 and ORAS (Operative Refresher Assessment Scheme). 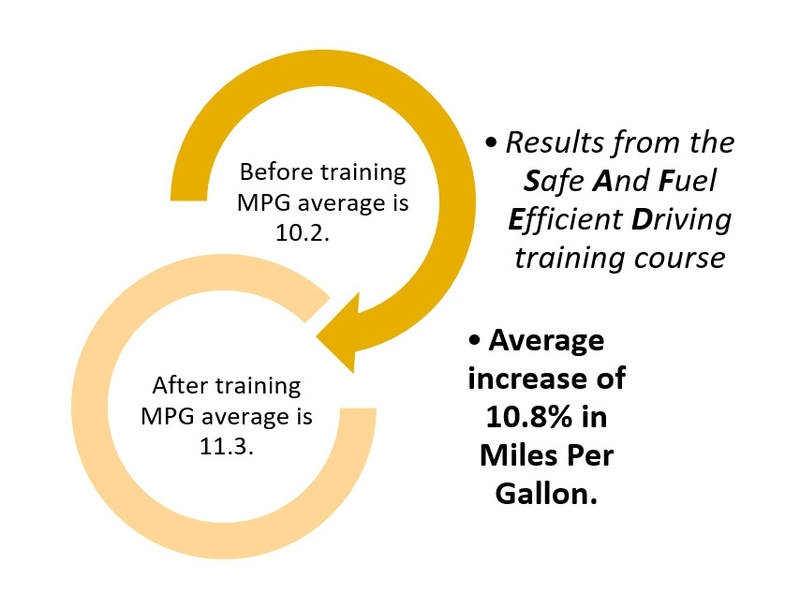 We also strive to continually improve driver training with LoCITY and FORS e-learning courses, having our own Academy provides a catalyst for this. The WJ driver training academy offers the SAFED training course – it is clear to see the benefits of encouraging all drivers to be consciously aware of how they drive and the benefits it can have. 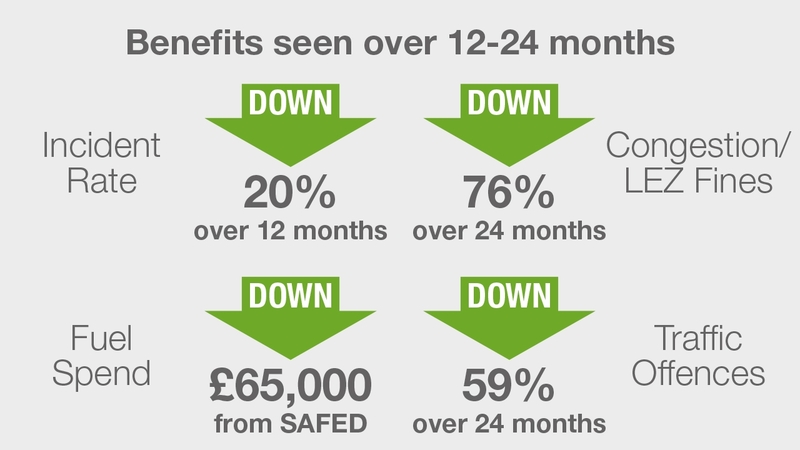 In our current market we estimate that this equates to an annual saving of £64,920 on fuel costs. To generate ideas from our workforce we operate our effective WJ SOS to encourage and promote personnel to report near misses and incidents and to contribute to the development of equipment, products and practices through collaboration and innovation. Our operatives utilise the dedicated communications network to immediately email site observations, issues, near misses, incidents and good ideas directly into the Health and Safety department. The key benefit is that photographs and live information can be emailed directly to the Health and Safety department for immediate action. Information is recorded, investigated and actioned, providing feedback to the person submitting the SOS has encouraged employee participation and engagement in the system. This system is used to report driver and vehicle Near Misses and Improvement Opportunities on site. This includes engaging with other fleet operators where driving behaviours around our people have been raised as an issue, both on and off site. 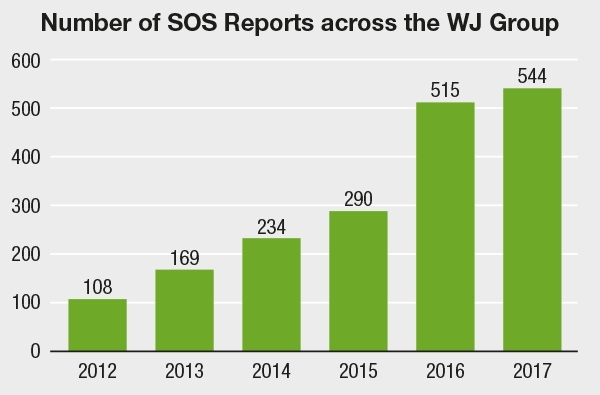 Due to our encouragement of safety culture, the number of SOS cases reported has increased over the years and we predict a significant increase across the WJ Group for 2018 of over 1000 SOS cases reported. 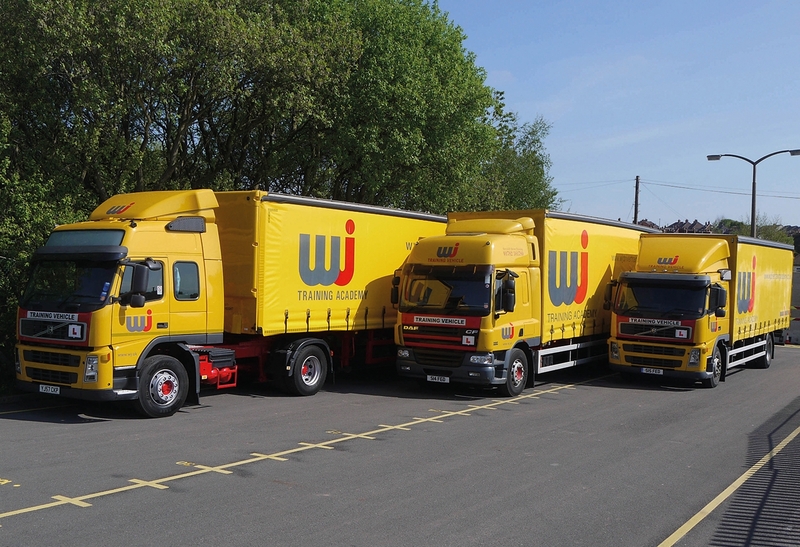 WJ take pride in our fleet, it is the public face of the company. As part of our commitment to mitigating WRRR we rejected our exemption from MOT Testing, believing that it wasn’t necessary to continue using this exemption safe in the knowledge that our fleet was managed to the highest standards. This demonstrates WJ’s commitment to ensuring that optimum safety and engine efficiency are maintained throughout our fleet’s life. 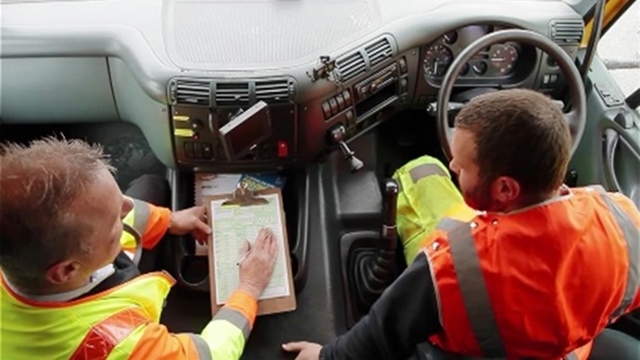 Naturally driver vehicle checks are a matter of course, but these are in turn audited by our training division to ensure the process is robust and any issues can be addressed through CPD training. 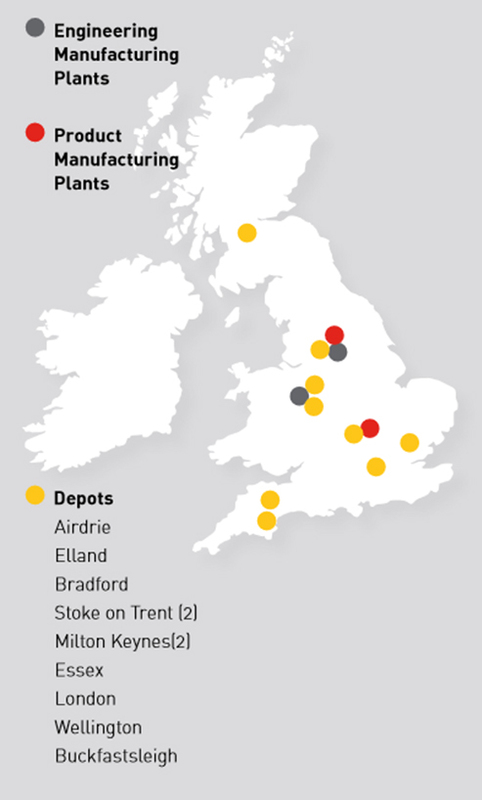 In addition to this, WJ have specialised vehicle manufacturing and engineering depots in Stoke and Elland, committed to the aim of continuously improving our purpose-built vehicles. This allows us to test what works following our developments and innovations, ensuring that safety is always at the forefront of our pioneering development agenda. WJ believe collaboration is the key to successful business and that all people and organisations in any supply chain can and should contribute to enhancing the sustainability of service delivery. By working with the supply chain, WJ provide a safe environment and in turn require the supply chain to manage staff who may drive on behalf of WJ or are involved in WJ work to maintain high standards always. 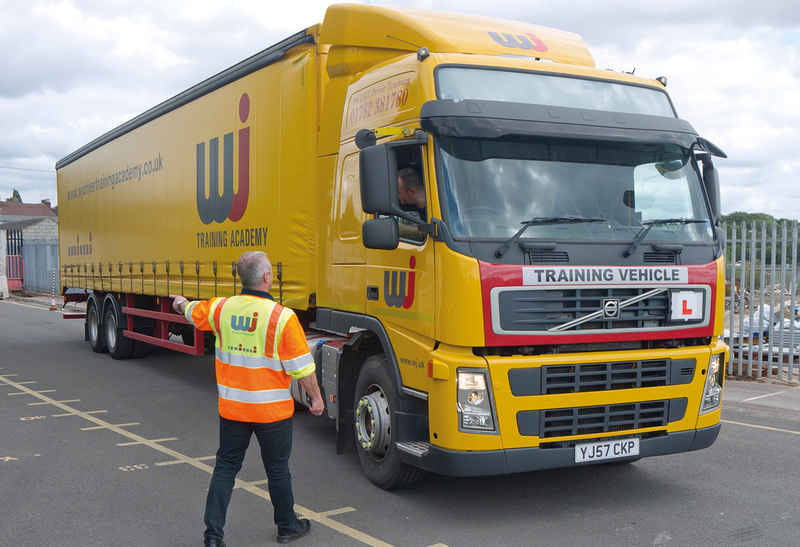 To this end WJ have worked with their supply chain partners to enhance their fleet management. The experience of our Group Transport Manager Scott Logan has been key to helping some of them achieve third party accreditation such as FORS. As part of our collaborative approach, we invite our supply chain to our National training days, which allows us to work with other companies to ensure that safety is met at work and on the roads. There is an overwhelming support from our partners which shows the dedication our industry has to the safety of our workers and the aspiration to collectively improve and further exceed standards. 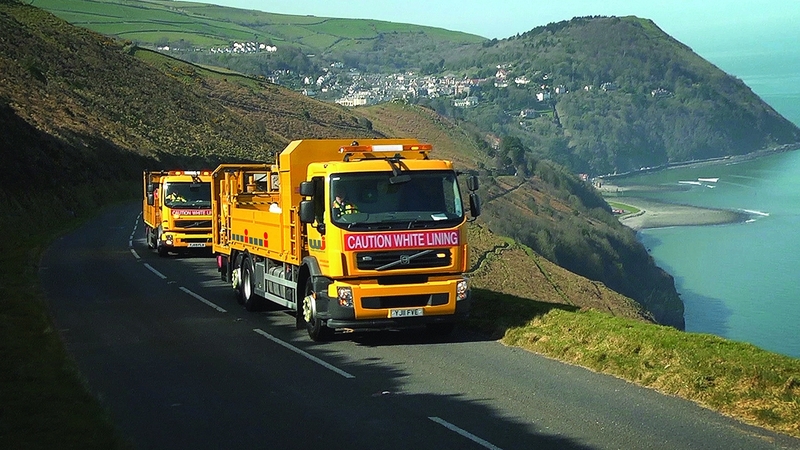 Dedication to our collaborative working approach is shown as WJ is the only road marking company throughout the current Highways England Asset Delivery contracts which is constructed around community collaboration and ensuring safety in delivery. Our improved environmental performance includes our specialised EUROSIX fleet developed through innovation at our engineering depot to ensure emissions are minimal, The WJ fleet feature the lowest exhaust emissions technology and triple boiler systems that reduce LGV journeys by cutting the number of vehicles needed to carry out works. 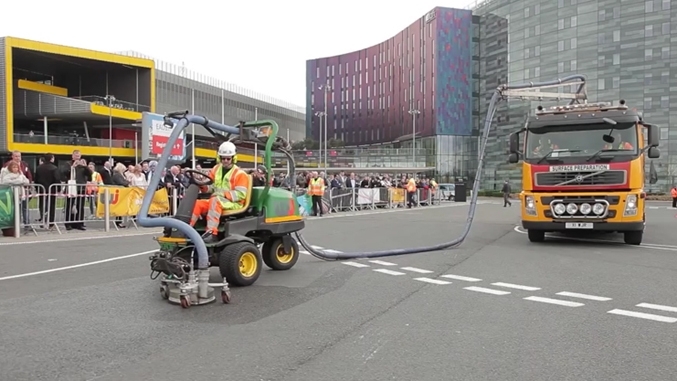 This innovation minimises lane closures and other traffic management requirements. It also reduces the nitrogen dioxide and particulate emissions, key factors in the fight to improve air quality in our towns and cities. Working on the highways network we also suffer first-hand the impacts of poor air quality so accept it is incumbent on us to work collaboratively to reduce the harmful impacts from vehicle emissions. To this end we also collaborate with others in industry looking at solutions by participating with organisations such as LoCITY on their Waste and Construction Working Group. As part of our dedication to running a sustainable business WJ invest in a hybrid fleet and monitor emissions. This is just one way in which we are improving our carbon footprint, 80% of our emissions come from our fleet operations and we will therefore continue to look for ways to improve even further. We have attained the prestigious Carbon Trust Standard after achieving a 10.1% reduction in the carbon emissions, a sector leading outcome. We have been proactive in the delivery of several carbon management initiatives aimed at reducing our emissions year on year. The Carbon Trust is an independent, expert partner of leading organisations worldwide. Helping them contribute to and benefit from a more sustainable future through Carbon reduction, resource efficiency strategies and commercialising low carbon technologies. By collecting data on our incidents, we can analyse the way we drive and develop ways to reduce future incidents and accidents. 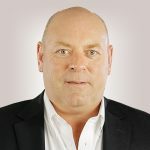 WJ Group has expanded rapidly through acquisition and organic growth with a corresponding increase in fleet and drivers. 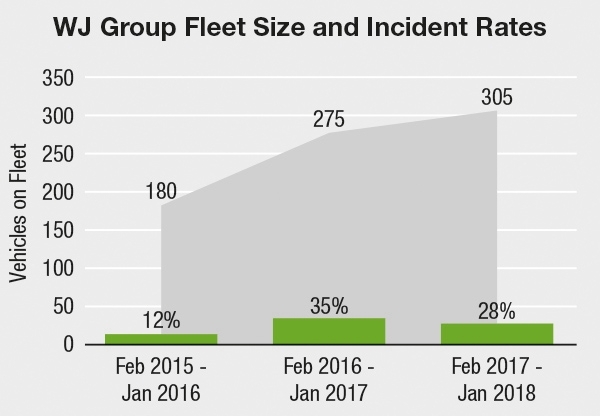 However, by focusing on Work Related Road Safety incidents have still reduced dramatically throughout the Group. Any road accidents or incidents are reported to the Board of Directors as a matter of course and are discussed at Board Meetings as an integral part of our safety focus. This allows us to reflect on our current processes and further developments by learning through our mistakes. Highways Excellence Awards for Road Marking Project of the Year – a scheme that reduced KSIs over the notorious Snake Pass. WJ also won the Highways Magazine Site Safety Initiative Award in 2017. Road Safety is at the heart of these achievements and key to our continued success as a business.